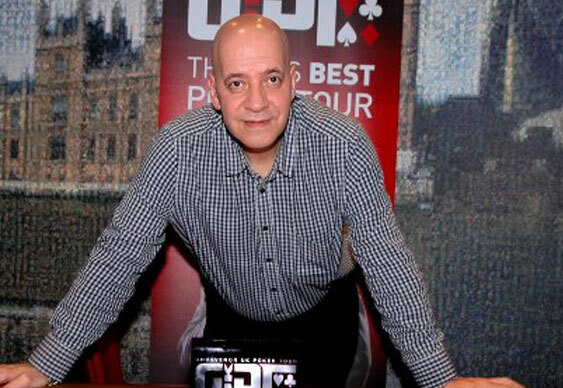 After a final table that was reminiscent of an episode of Deal or No Deal, Martin Bader eventually emerged as this year’s GUKPT London champion. Four days of action saw 397 players almost double the £200,000 guarantee and push the winner’s bounty to a healthy £103,240. On the final day of play just 39 players stood within a few places of the title, but after just two hours all but nine of those still had some ammunition left to fight with. Leading the charge for much of the final table was Marc Wright, eliminating the lone female at the table, Sin Melin, in ninth place. Threatening to run away with the title, Wright soon found himself involved in a three-way coup with pocket aces. Facing the pocket kings of Jamie Roberts and A-10 of Antonio Millan, Wright looked in a strong position to collect half the chips in play. However a king on the board gave Roberts the pot and halted Wright in his tracks. Two more eliminations left just five players who all decided to split the prizepool. With £45,000 each and £38,000 for the winner, Wright was the next to hit the real before another deal was struck – this time securing £50,000 for each player and £18,000 for the winner. The financial status quo remained until Bader and David Barraclough remained. Another round of negation gave Barraclough £62,000 and Bader £56,000, before the latter managed to lay his hands on the winner’s trophy. The GUKPT heads north to Didsbury in Manchester for its next stop. The £500 Main Event takes place from Thursday 11th April. Side events run throughout the week. Qualify online at Blue Square Poker.